DevConf 2016 will address the burning issues facing SA's fast-growing developer and programmer community, says co-organiser Robert MacLean. The South African Developer User Group, a vendor-neutral body comprising over 1 500 members, is set to host the inaugural DevConf event. DevConf 2016, earmarked for 8 March, is expected to attract the country's professional software developers and programmers, and will be presented at Riversands Incubation Hub in Fourways. Robert MacLean, co-organiser of the event, says DevConf 2016 will address the burning issues facing the fast-growing developer and programmer community in SA. MacLean estimates there are around 10 000 developers in the country, with up to 50 000 professionals involved in development or programming as a component of their work. "DevConf originated out of the Developer User Group which meets for an evening of sharing and discussion on software development once a month in Johannesburg and Pretoria," says MacLean. "We identified that there is no conference that brings everyone together and while there are some vendor-specific events, unfortunately, they are sales-focused." He notes a major focus at the moment is the move to DevOps. "Developers want to learn how to harness DevOps methodologies to improve processes and collaborate more closely with IT. Another challenge facing developers is softer skills needed around collaboration and team work." Speakers participating in the event include keynote speaker Danie Roux - consultant and expert in the developer community; Canada's Willy-Peter Schaub - known for his expertise in Scrum, Kanban, and Agile Portfolio Management; Austria's Andreas Grabner - speaking on metrics-driven DevOps; and England's Tugberk Ugurlu - a database expert. Forty local and international experts have been selected from the 160 papers submitted, to deliver talks across the event's six tracks. According to MacLean, the fast pace of technology is the biggest challenge to local software developers today. "The technology they are using today and the way you use it will shift and change dramatically over the next 24 months," he says. "Some of these changes will be small and need minor enhancements as well as adjustments. However, there are technology changes that can have such a broad impact that it could kill your business model; for example, look at how Uber has changed the landscape of transport." 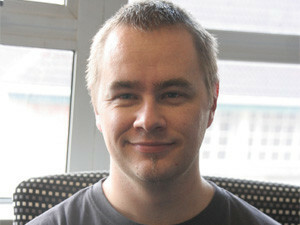 According to MacLean, South African developers are among some of the top developers in the world at the moment. "A few standout achievements - we have many of the world's best speakers and coaches on the Agile software methodologies who are invited to international events, like Martin Cronje and Danie Roux; we have companies which produce software for major organisations around the world, and then global recognition of skills from companies like Microsoft who have an most valuable professional award which has been given out to a number of South Africans, including Gail Shaw and Colin Dembovsky, highlighting they are among the best in the world."